The Brexit Secretary has said Tory “jitters” about EU negotiations are “understandable” but he urged MPs to hold their nerve as talks continue. “The end is in sight in terms of a good deal, the prize we want … and I think colleagues should wait and see what that looks like,” Dominic Raab said. It comes amid newspaper speculation that Theresa May could face a vote of no confidence from angry Tory MPs. The backbencher told the Mail on Sunday she must attend a meeting of the 1922 committee of Conservative backbenchers this week. Some Tory MPs were angered last week by a suggestion that the post-Brexit “transition period” – designed to smooth the path between the UK leaving the EU in March 2019 and a future long-term relationship with Brussels – could be extended. Ex-Tory leader and prominent Brexiteer Iain Duncan Smith said that would see the UK paying the EU “tens of billions” more and he said the negotiations “look more like a capitulation”. 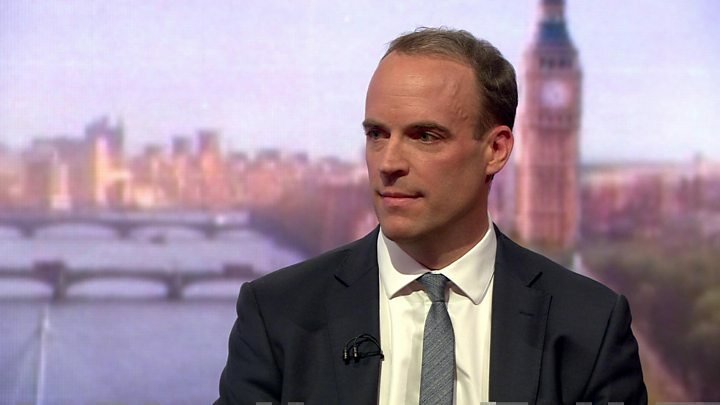 Mr Raab told the BBC’s Andrew Marr Show that he was “open minded” about the possibility of extending the transition period – which the government calls the implementation period – for about “three months or so” if needed, as long as it was clear how the UK would get out of it. He said: “We’re at the end stage of the negotiation. The UK voted to leave the EU by a margin of 51.89% to 48.11% in a referendum in June 2016. It is due to leave on 29 March 2019 but during the post-Brexit “transition period”, set to run until 31 December 2020, the UK-EU relationship will stay largely the same. If at the end of that period, a long-term “future relationship”, including trade deal, is not ready, both sides have agreed on the need for provisions to ensure there is no need for customs checks – a “hard border” – between Northern Ireland and the Irish Republic, in the interim period. This is called the “backstop”. 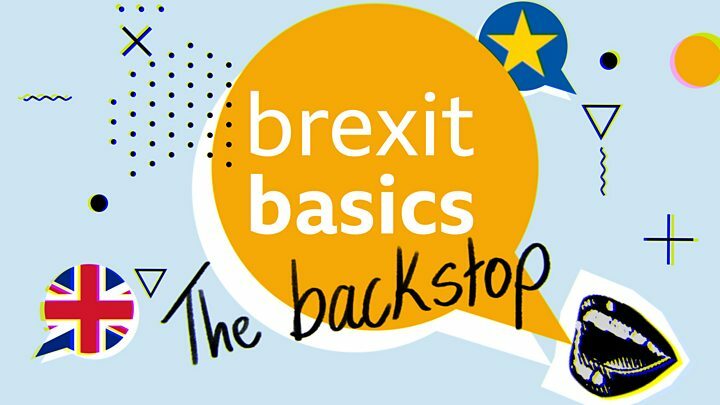 The problem is that the two sides have yet to agree what form the backstop will take and how long it could last. 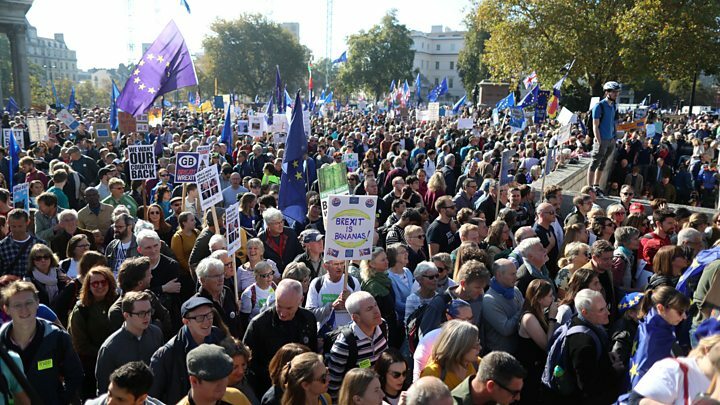 On Saturday, protesters took part in a huge march to London’s Parliament Square to call for another referendum – this time on any final Brexit deal that is negotiated. Organisers say it attracted about 700,000 people. Labour’s shadow Brexit secretary Sir Keir Starmer said the march reflected “a much bigger group, both Leave and Remain [voters], who are utterly losing confidence in the prime minister’s ability” to bring back a good deal. He added: “I don’t think anybody thinks this 30-year civil war in the Tory party on Europe is going to end before Christmas. “What we’re going to see is even if there’s a deal, the Tory party will try to rip it up next year – some of them are already saying they’re going to do that – so this idea of an historic moment just before Christmas in the national interest isn’t going to happen. They will not stop fighting about this. Meanwhile Scotland’s First Minister Nicola Sturgeon has criticised some of the language reported from unnamed Tory sources about Mrs May’s future as Tory leader, which prompted a headline in the Sunday Times: “PM enters ‘killing zone'”. The Mail on Sunday reported one “senior plotter” telling her “bring your own noose”.